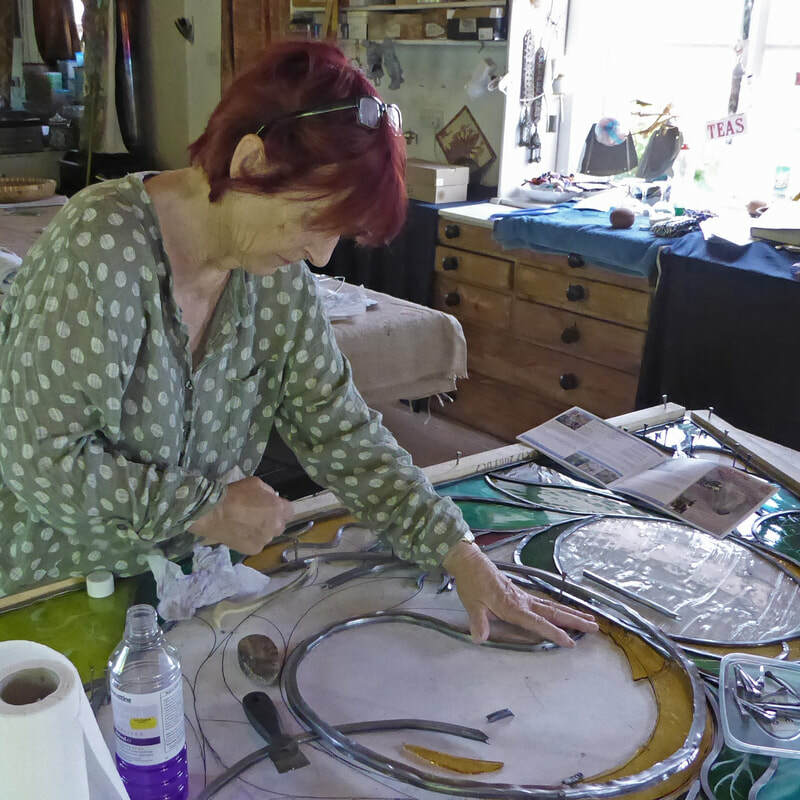 ​My work is predominately stained glass, from windows through hangings to screens with mixed media panels. The paper I make is used in different ways including book making, reconstituting it to be incorporated in mixed media work. The print making ranges from pictures to embellishment for other work. The jewellery and the weaving also get incorporated into other work – if they are not standing on their own!